Slip on our Slip It On Dress to feel simply stunning. This dress features a wrap front closure, thin straps and a triangular bust. 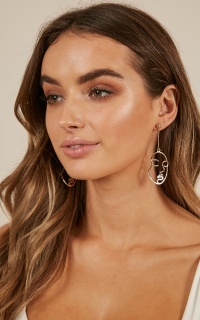 Go simple and classy with a minimal gold necklace and strappy heels for a classy night out or rock that red lip, statement earrings and show stopping heels for a night you'll never forget. Filter By Height: Show All 5'2" 5'10"
I based my order on my measurements and the dress was quite small, I would’ve gone up up one size at least. The dress was nice enough but I couldn’t wear it as it didn’t cover enough.